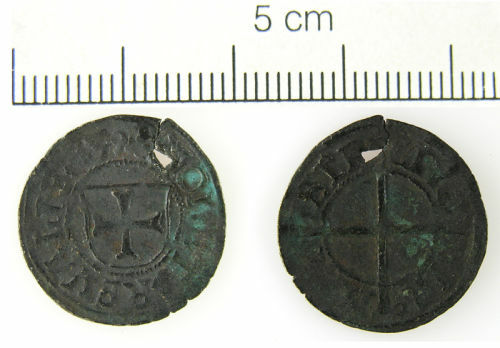 Silver coin from Livonia in the Post-Medieval period, 16th century in date, probably 1539 (although only the 39 is visible on the legend). Minted in a town called Reval which is at the top of modern day Estonia and is now called Tallin. The coin has been pierced and so some of the legend is missing.